July 31, 2015  An estimated 4 to 6 million land mines are scattered throughout Cambodia, one of the world's worst-affected places. 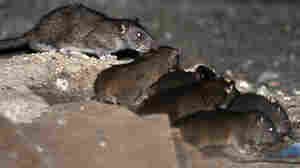 Rats possessing an exceptional sense of smell are being trained to detect the mines. 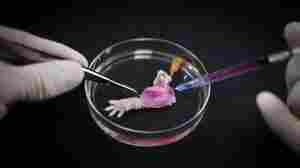 June 14, 2015  The regenerated forelimb, made from living rat cells, may be the first step toward creating functional, bioartificial limbs. The scientists were thrilled to see the muscle fibers twitch. 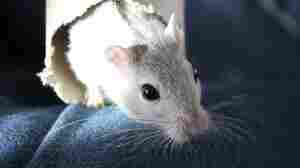 February 28, 2015  Rats have had a bad reputation ever since they were blamed for spreading bubonic plague. But perhaps the blame was misplaced. 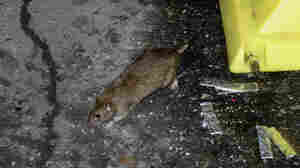 NPR's Scott Simon reflects on the roles of rodents. 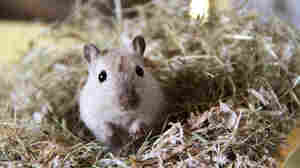 February 24, 2015  Shifts in climate in the Middle Ages likely drove bubonic plague bacteria from gerbils in Asia to people in Europe, research now suggests. Rats don't deserve all the blame. November 4, 2014  If one urban legend is to be believed, there are as many rats as people — 8 million. Statistician Jonathan Auerbach decided to test that idea. August 29, 2014  Health officials want to reduce the rat population, so they're hiring extra exterminators, sealing up holes and teaching regular New Yorkers how to make homes and gardens less rat-friendly. 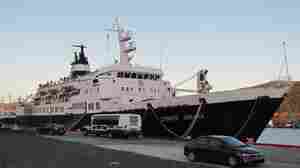 Rat-Infested Ghost Ship Might Be Heading For U.K.
January 23, 2014  The 300-foot Lyubov Orlova snapped its towline a year ago while en route to the scrapyard. 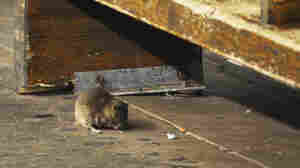 The ship could contain hundreds of rats that have been eating themselves to survive. March 4, 2013  The rodents have been a big problem in Iran's capital for years. Efforts to poison them may have run their course. So, according to local reports, sniper teams have been deployed. Some of their targets are quite large — weighing about 11 pounds.